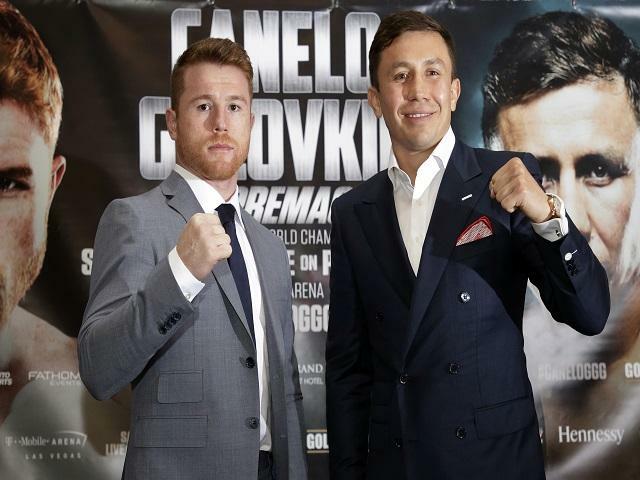 "For me, this is a straight choice – Golovkin by KO or Alvarez on points. The latter is a supremely talented boxer, and has the power to keep GGG off." OK, fight fans, enough. Let's get back to boxing. We're going to go through an entire article concentrating on everything great about the sport, not mentioning the retired guy or that wrestler, if we can get away with it. If MayMac was for casual fans, Gennady Golovkin vs Saul Alvarez is a treat for the purists, and one to put our faith back in the noble art. There's plenty to love about the game at the minute and this blockbuster, fought out in Vegas on Saturday night, will help prove it. Two of the most exciting, hardest hitting, top level fighters of the modern era go head-to-head, putting their reputations and legacies on the line in the process. An alphabet of world titles is up for grabs, but the best bouts are bigger than gold, silver and leather. Fought out over 12 rounds, the sport of boxing will be the winner. Well, the sport of boxing and punters who have their stake money on the right corner, of course. 35-year-old Gennady Golovkin travels to the T-Mobile Arena with a perfect 37-fight record. Impressive, but what has won him the love of fans across the globe is a fearsome 89% knockout average. Only four opponents have gone the distance since making his debut in 2006, and three of those came early in his career, when boxing over eight rounds. GGG did test the judges over the championship distance of 12 rounds last time out, taken the trip by American Daniel Jacobs. A unanimous decision win was the verdict, but it was closer than most expected, the scorecards reading one round, three rounds and three rounds. Perhaps there's a reason the Kazakhstan-born fighter likes to get his business done early. There's currently [1.76] on the exchange about another win on the scorecards. Punters may prefer to keep this one simple, and a meeting of two proud warriors, both carrying concussive power in each hand, really shouldn't be going the distance. Fancy Golovkin to build on his record-breaking KO average? Back him for an early night at 6/4 on the Betfair Sportsbook. If you'd prefer to play it safe, 4/6 makes him jolly for the win at all costs. It's not often you'll find Canelo Alvarez prepare for a fight as a convincing second favourite in the market, but that's the way of things here. The 27-year-old - yes, he's still only 27, despite having 51 fights on his professional record - shows a CV of 49 wins, one draw and one defeat. The spare loss in that pile came, you'll remember, against Money Mayweather four years ago. It was called a majority decision, but you can ignore that. The judge who called the fight a draw couldn't have been any more wrong. We'll leave it at that. Since that loss, which is easy to get over, given the opposition, Alvarez has claimed each of his next seven starts, including wins over Miguel Cotto, Amir Khan, Liam Smith and Julio Cesar Chavez Jnr. The Chavez Jnr fight was billed as a Mexican civil war, and got us all excited but, in the end, Saul eased to victory in a one-sided battle. In his seven bouts since defeat, four have come by way of KO/TKO. Alvarez to get GGG out of there is 17/2 (Sportsbook), a points win looking more likely at [3.25]. The fight betting has Canelo at 11/8 (Sportsbook). For me, this is a straight choice - Golovkin by KO or Alvarez on points. The latter is a supremely talented boxer, and has the power to keep GGG off. To stand any chance vs Golovkin you have to out-box him, but that can only be achieved if you stop his relentless march forward. He's a hunter. Canelo has the skills to win and the power to force his opponent onto the back foot when he needs to. Therefore, we're taking Alvarez on points at [3.25].